You’re in the thick of writing some characters’ conversations and it hits you: where do the commas go? Do you need one after an exclamation mark? How’s it supposed to look on the page? We’ve broken down some dialogue into it’s simplest parts with our step-by-step, visual tutorial covering punctuation, dialogue tags, descriptors, and formatting. Punctuation should always be inside the quotation marks. The simple comma is your friend! Use it when tying up speech around dialogue tags (the old favourite, ‘s/he said’). Each line of dialogue should be on a new line; keep the formatting nice and clean. A great exercise is to pick two or three books (ones that you love!) and find some examples of dialogue. Each book may be slightly different in their smaller details, but it’s handy to see the basics of punctuation in action. The best way to learn, of course, is by writing some dialogue yourself. Don’t be afraid to make mistakes, because practice makes perfect! Punctuation is usually the most ignored grammar aspect when it comes to writing. Yet, it might make you look really unprofessional in the eyes of your readers. In some cases, they may just fail to understand you well. 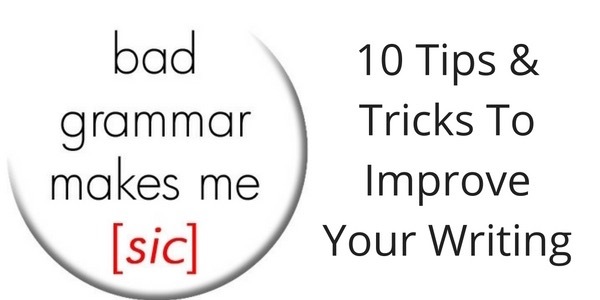 Learn the most crucial punctuation mistakes and take all the necessary steps to avoid them. The use of commas adds necessary breaks into the text. Without commas, it would be difficult to choose an appropriate intonation and divide the sentences into logical parts. You can either miss them where they are necessary or put too many of them into the text. Solution: Read your sentence out loud and pay attention to those places where you make pauses. Don’t put commas after “but” or “and” if the second sentence doesn’t have a subject. If you see your sentence is too long and overloaded with commas, try replacing some of them with periods and making two or even three sentences out of one. Inappropriate use of any of these forms is quite widespread in writing today. Though being seemingly similar, they have absolutely different meanings, and their misuse can affect the entire sentence. This is actually one of the most popular mistakes that even experienced writers can accidentally make. Solution: It stands for it is or it has while its is used when you are referring to a possessive form of something. Always read your text upon writing. It will help you spot even those mistakes you’ve been confident you’ve avoided. The use of apostrophes can often be a problem, especially for non-native language speakers. Even if you remember to put an apostrophe whenever you need to create a possessive form, some issues are still unclear when you do it. Solution: It’s their’s – apostrophe shouldn’t be used here. Be careful when the noun that is used before another noun serves as an adjectival label (e.g. writers conference). In this case, no apostrophe is required either. When we need to create a possessive form out of plurals, keep in mind that they already end in s and the apostrophe has to be placed at the end of the word (e.g. babies’ beds). Do you really think you will grab more attention if you use exclamation marks all over the text? It will only make your text annoying. By the excessive use of exclamation marks, I mean either using them after each sentence or using three or more marks in a row. Solution: Remember: if you add more exclamation marks than necessary, it won’t make your information more meaningful. Leave them for some really impressive facts or details. Don’t make your readers bored with them. In addition, your text will look visually unattractive if it’s overcrowded with exclamation marks. The misuse of dashes and hyphens in a text is quite widespread among writers. And that’s not just because of not understanding the difference. It’s mainly because of some keyboard limitations when you work in certain text editors. Solution: Hyphen (short line) is used to bridge two or more related words (e.g. face-to-face). Dash (long line) is used to describe things in detail or show a better explanation of something. Very often, it’s possible to see a dash shown as “–” (two hyphens). Make sure you use it as “–“ to look more professional. The excessive use of quotation marks in a text is quite common. They are often used to emphasize certain parts of the sentence and make them look visually stronger. When nothing is quoted, neither single nor double marks are relevant. Solution: As the name suggests, we should use the quotation marks only when we quote someone’s words. When you really need to emphasize something, consider using italic or bold font, or even write it in a different color. One more important detail about the quotation marks is their combination with the commas, periods, exclamation and question marks. All the punctuation marks should be put inside the quotation marks. These are sometimes mistakenly used interchangeably in the text or used where starting a new sentence would be much better. Solution: Colons are used in a text to introduce one or more items. However, try not to use colons when the list follows the verb (e.g., I want tea, breakfast, and water). They are also used when you are listing items one per line or when two independent clauses are used, and one of them explains another one (e.g., He got what he deserved: he really worked hard to get this promotion). While sometimes you just need your common sense to feel when commas are required, in the majority of cases, you will still have to rely on the rules to make sure you use commas where necessary. Solution: All the introductory words (Moreover, In addition, However) are separated with a comma. When you need to specify some unessential information in the text, you’d better separate it with commas too. You should also use it before a direct quotation. Latin abbreviations are used quite frequently in the text. However, some of them can sometimes be misused or punctuated incorrectly. etc. means so on. If it’s put at the end of the sentence, one more period is not required. e.g. means for example. It’s followed by a comma. i.e. means that is, in essence. It is followed by a comma as well. Bulleted lists make it easier to present information and list things. 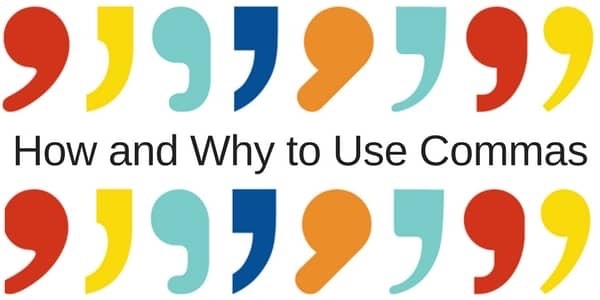 They are used so frequently that it’s necessary to know how to punctuate them properly. Solution: If one bullet covers a full sentence, use periods at the end of each. Use no punctuation marks after single words or phrases. However, the last item in the list will be followed by a period. Do not use semi-colons to separate the list items. As social networking is predominately text driven, it is a good idea to make sure your writing is up to an acceptable and readable standard. There’s nothing worse than reading a tweet, Facebook, Google+ or blog post that is full of errors. It gives an impression to the reader that you are either careless, or worse, a bit stupid. 1. Always check that your verb agree with the subject. I hates this mistake with a passion. 2. Almost every comptupter has a speelchekker, so use it. Yoo could even use teh auto-tect correction for commun errors. 3. Typos involving small common words like that and than, it and is, and there and their are easy to make. Check before you hit the send button. Better to be safe that sorry. 4. One mistake that irks me is the incorrect use of capitalisation. i just cringe when i see this error. 4. When you use numbered bullets, make sure they are sequential. 6. Check your formatting in blog post as errors are not always obvious. 8. There are some who think; oddly enough, that punctuation – commas, colons and em dashes, are a sign: or symbolic, of high intellect. In fact, the opposite is true and you stand a good chance of looking like a real fool. 9. I dislike sentences that always start with I. I hate it in fact. I stop reading instantly. I would advise against it. I really would. 10. Reading long passages of text on the Internet; whether it be on a computer, laptop or mobile phone is very tiring on a reader’s eyes so you should be careful not to ramble on with long sentences and un-paragraphed passages of text that are neither informative nor interesting as you will lose your reader very quickly as they will become bored and stop reading your diatribe quicker than you can say Jack Robinson, so don’t just keep typing ad infinitum about your pet subject in long and badly punctuated sentences that keep waffling on without ever coming to the point that was probably your intention to begin with, but you forgot about once you got started and decided to add one extra point in your sentence that should have included a relative pronoun but you got lazy and just used a random comma and kept on typing. Phew! 11. Be sure that your title is a relevant and accurate summary of your article. So there you go – I hope this post clearly makes the point. And if you got to this part without noticing anything wrong, I suggest you go back and re-read it – there are a mountain of glaring errors that any writer worth his salt should have picked up on. For most of you though, this should be a fun exercise. Just make sure you can see my point through your tears of laughter!